As April rolls on, a longing for summer and cocktails in the sunshine can begin to take over. 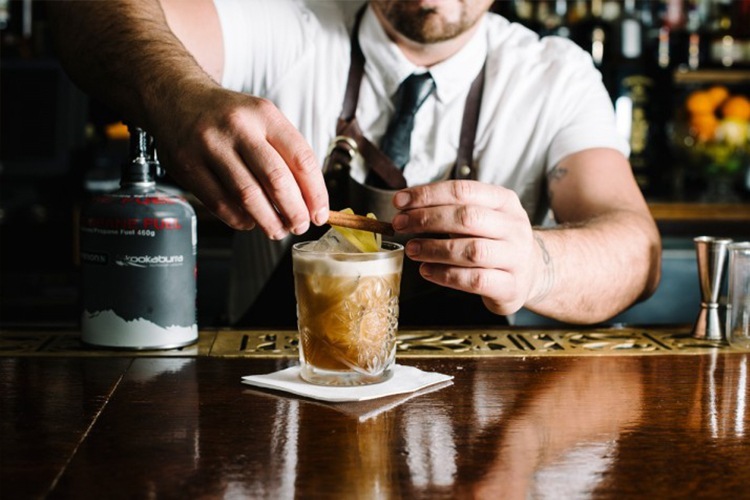 But while the weather may be cooling down, these five Sydney venues are turning up the heat and providing Sydney siders with some killer cocktails that are well and truly worth a try. Whether you are into fruity, holiday-style drinks or something a little classier, this list has something for everyone, with each sip making those summer blues just a little easier to overcome. Escape the impending winter and let Rosie Campbell’s transport you to a summer in the Caribbean any day of the week. Brightly coloured booth seating, Jamaican style prints and low hanging feature lights give this diner-come-rum bar a mellow and relaxed feel. Jamaican flavours permeate the cuisine and infuse the exciting list of cocktails. 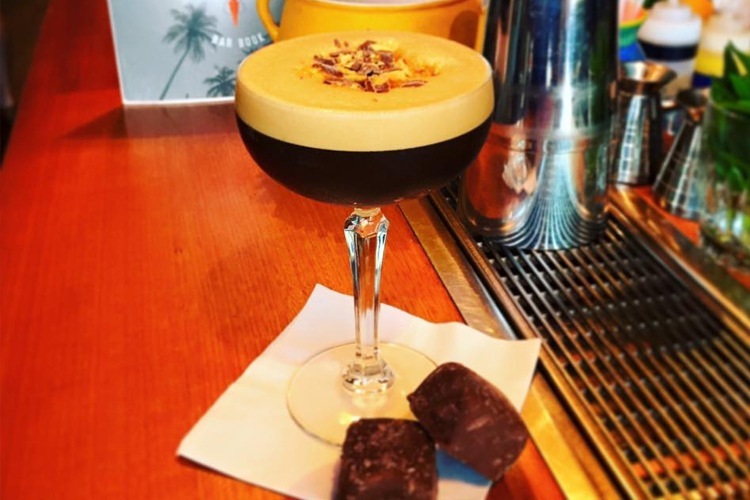 Rum is clearly a much-loved ingredient, used in all eight of Rosie’s concoctions, from the Espresso Coco Martini to the Rosie Coco Colada, served in a coconut cup. But for the perfect way to unwind on an autumn afternoon, nothing beats the Kingston Sour – Rosie’s interpretation of a whisky sour. 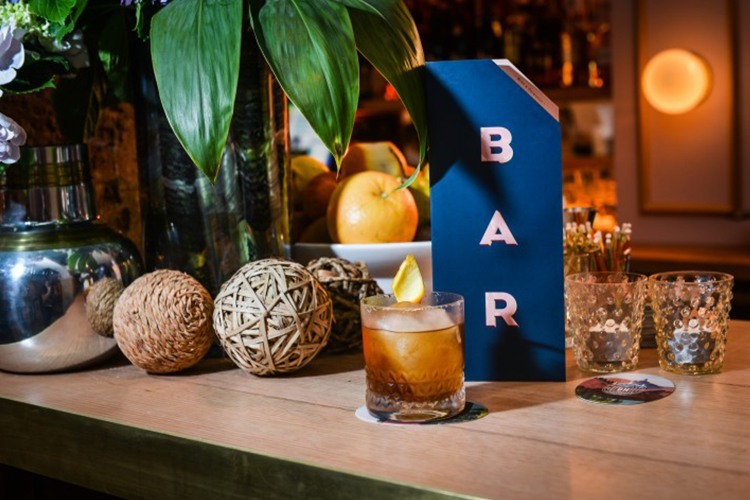 The combination of Jamaican Appleton rum and illegal mezcal has subtle citrus flavours which, combined with the pimento and toasted caraway seeds, reveal a hint of smokiness and give body to the full flavoured, signature blend rum. Step off Oxford Street, down the plush carpeted stairs of number 34 and be immersed in the underground experience that is Della Hyde. Modeled to resemble a vintage hotel lobby bar, Della Hyde’s plush leather couches, high stools and darkly lit interior create the perfect place for sipping away on a cocktail or two on those cool autumn nights. Our pick of the bunch is a must try for coffee lovers out there – the Count Negroni’s Cold Drip cocktail. Cold drip infused gin, sweet vermouth, and Orange Colombo aperitif combine with orange bitters and sugar syrup to create the mix, which is served over a chunk of ice and garnished with a curl of flamed orange zest. If wining and dining at one of Australia’s most iconic venues sounds like your cup of tea, then venture over to Bennelong, the three-storey restaurant and bar inside the Sydney Opera House. Bennelong showcases the incredible architecture of the Opera House, with a menu and drinks list that complement the elegance and beauty of such a place. The cocktails, like the cuisine, have been developed to take inspiration from, and make use of, local Australian produce. This has resulted in creations such as the Snugglepot & Cuddlepie and the Botanical Garden. 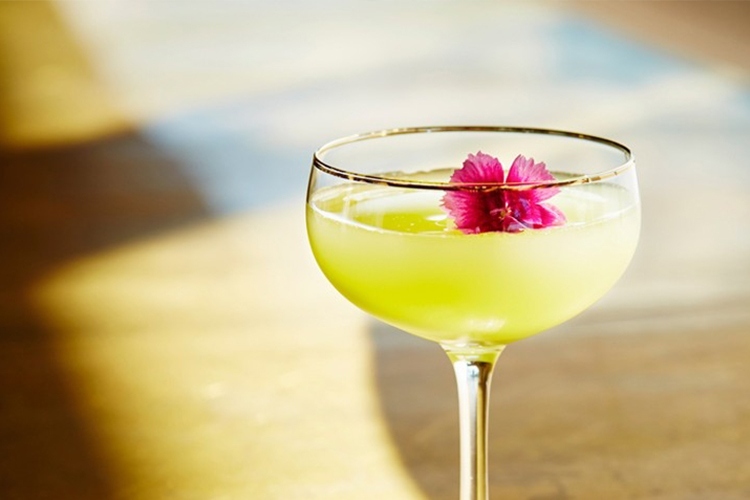 However, it’s hard to go past the aptly named Symphony #4 in D Minor, a cocktail that utilises gin, St Germain (made from hand-picked elderflower blossoms), lemon and apple juices and chamomile to create a taste sensation. Enjoy a Symphony with a meal in the restaurant or in the bar with a view overlooking the Sydney Harbour Bridge. On a surf trip to the US together, hospitality veterans, Hamish Watts and Ben Carroll, fell in love with the sunny Californian coast, the laid-back lifestyle and Southern Californian-style cooking. They decided to create a venue that would mimic California back home in Sydney and the result – SoCal – does not disappoint. The Californian influence is evident in the menu and the cocktail list, which includes more than 30 fruity and fun cocktails, some of which are available frozen. However, the standout cocktail is the Salted Caramel Espresso Martini. Not your average espresso martini, the SoCal version uses vodka, coffee liqueur, shots of espresso and a hint of salted caramel to create a smooth, sweet cocktail, particularly suited to the caffeine addicts among us. Served with a sprinkling of chocolate honeycomb on top, the team at SoCal certainly knows what they’re doing when it comes to this creation. Oozing with the sophistication and swagger that only the coolest of cocktail bars can, comes The Lobo Plantation in the heart of Sydney. The dimly lit, renovated basement has a relaxed vibe and with red leather booths, emerald green walls and lush Caribbean-style greenery. 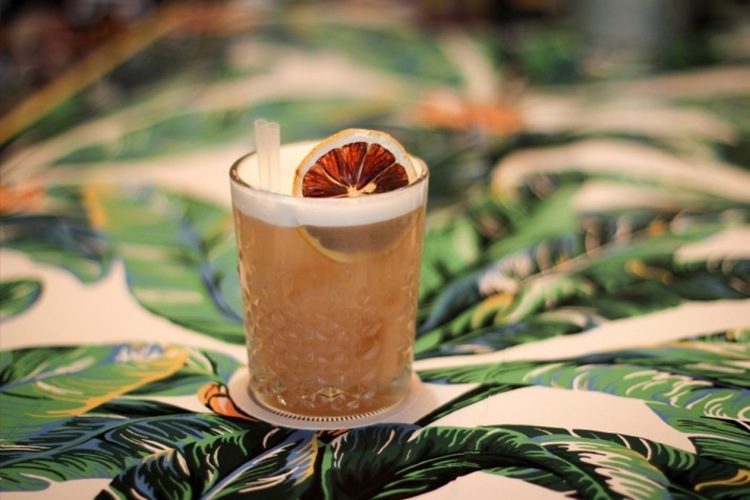 You may be forgiven for thinking you’re in paradise – especially after you’ve sampled a few of their cocktails, from a list that offers more than 55 rum-based mixes. If you’re having trouble choosing from the extensive list, don’t look past the much-loved Old Grogram. A blend of El Dorado spiced rum, stout vermouth, fresh lemon juice and sugar syrup, this spicy cocktail is sure to please. To top it all off, a garnish of lemon rind and a flamed cinnamon stick ensures you will be coming back for more. Article contributed by Smudge Eats | Illustration by Carla McRae | Words by Ashleigh Whitehill – Cat lover. Tea enthusiast.